Valiant is proud to present an advance preview of X-O Manowar #14 – the explosive final chapter of PLANET DEATH from New York Times best-selling writer Robert Venditti (Green Lantern, The Surrogates) and Eisner Award-winning artist Cary Nord (Conan)! X-O Manowar has conquered. He has killed. 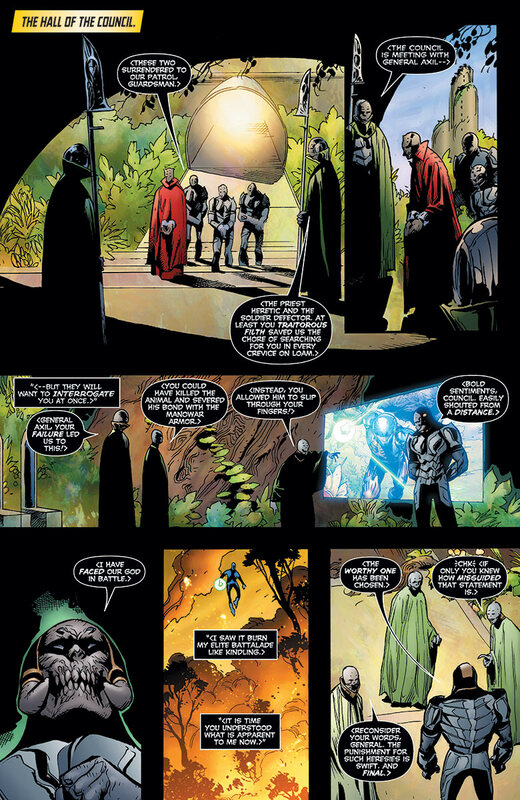 But can he reign over PLANET DEATH? 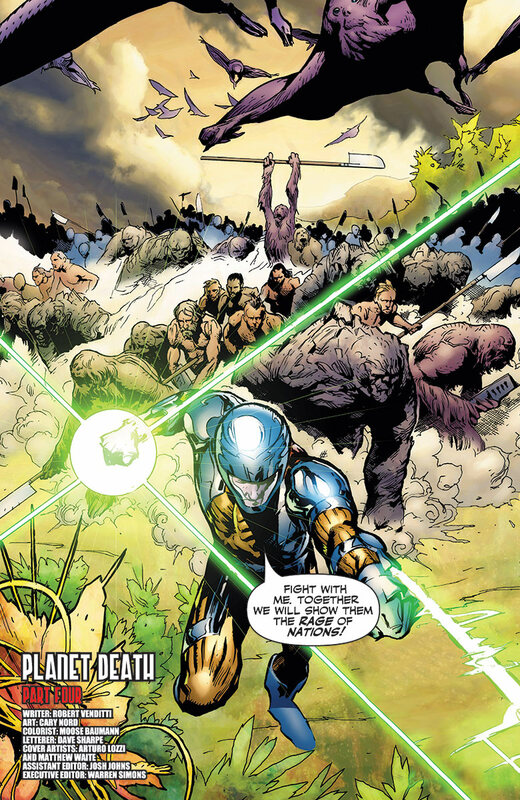 With a coalition army of alien freedom fighters at his back, X-O Manowar has brought the throneworld of his alien oppressors, the Vine, to the brink of collapse. And now, with their ultimate weapon at his command, the final battle for the Vine planet of Loam is about to begin. 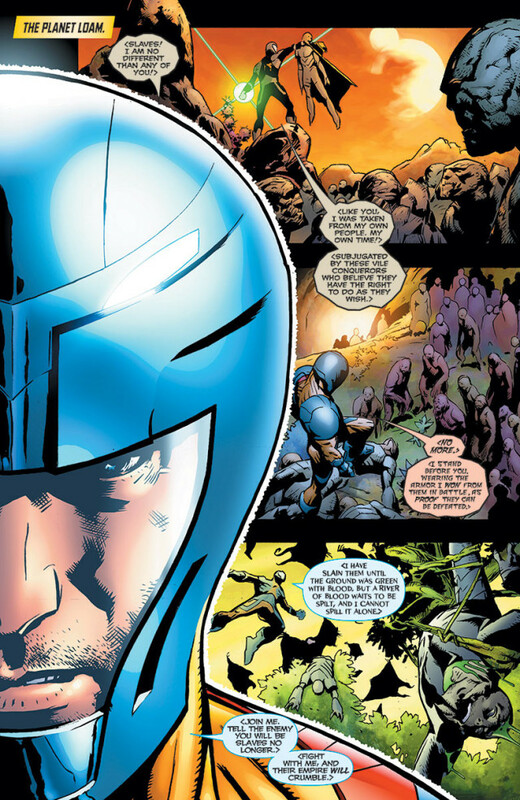 The time of X-O Manowar’s vengeance has finally come – and, with it, a monumental revelation that will redefine everything we thought we knew about Aric of Dacia and his future in the Valiant Universe. The first year of X-O Manowar thunders into its world-ending conclusion as Robert Venditti and Cary Nord deliver the final blow to PLANET DEATH on June 26th in X-O Manowar #14! 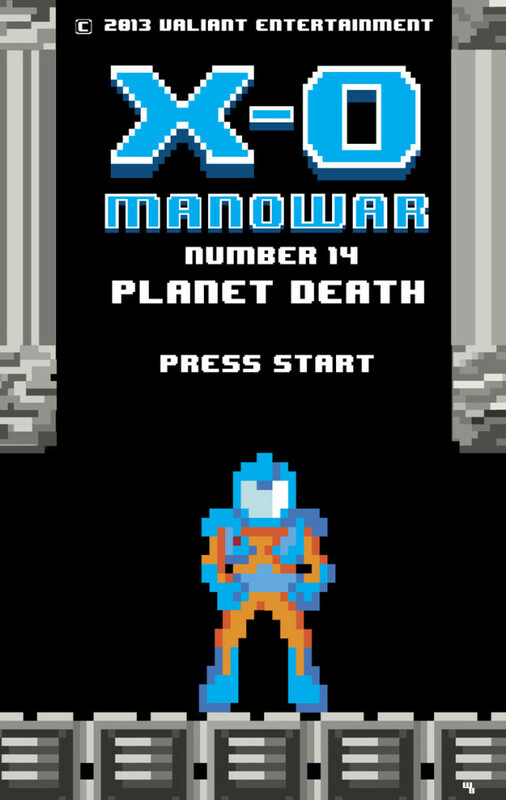 And look for the limited X-O Manowar #14 8-Bit Variant by artist Matthew Waite! 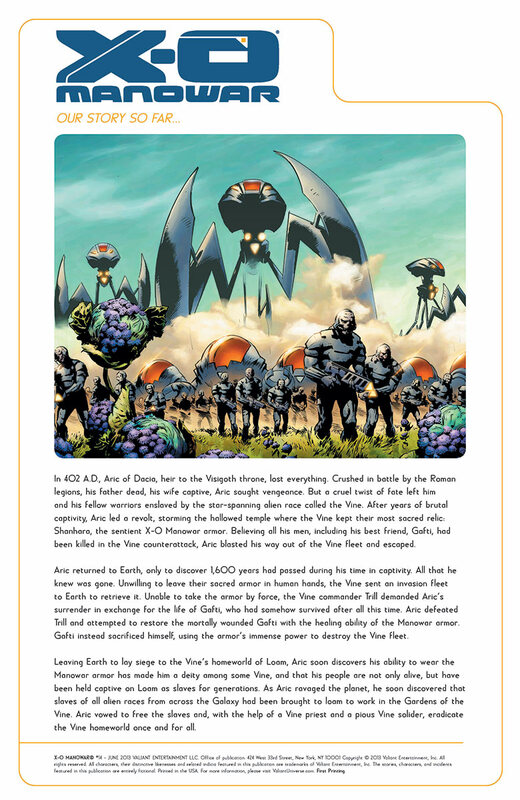 For more information on X-O Manowar and the rest of the Valiant Universe, visit Valiant on Facebook, on Twitter and at ValiantUniverse.com.